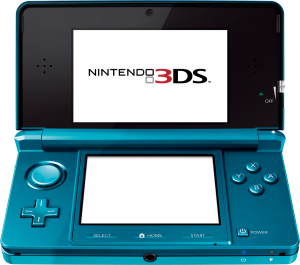 Featured Thread: Will the Nintendo 3DS Be Important for Zelda? With the release of the 3DS we’ve had a lot of discussion about it on our forums, and a lot of those discussions concern Zelda games. Not only are people discussing Ocarina of Time, but also the future of Zelda on the 3DS. How big will the 3DS be for the Zelda series? Will it have any important games at all? Check out our featured thread for this week, Will the Nintendo 3DS Be an Important Console for Zelda Games? We have some varying opinions on the matter, some saying that it won’t be a huge thing, but others think differently. Voice your own opinions by registering on the forums so you can participate in the discussion! Click Read More to see what some of our other members are saying. “Well, there may not even be a third addition to the DS trilogy. No one knows that yet. I also doubt that they will just continue pumping out remakes, as Ocarina of Time 3D is obviously a remake. Nintendo doesn’t really like to do what is expected, and one can’t really tell what a new game would be like. “I’d be majorly surprised if they didn’t release any Zelda on the 3DS. I’d say it’s almost impossible that they won’t. My big question is whether it’ll be fully 3D (I don’t mean the stereoscopic stuff – it’ll have that whether or which – I mean classic 3D, like OoT). If it is, it’ll probably get a lot more hype than if it was 2D : that just seems to be how it goes. However, even if it is 3D, I imagine it won’t be as big as any new console titles (SS), just because of space limitations. These opinions actually surprised me because mine varied quite a bit. I’m sure they will probably end up making another Zelda game for the 3DS, but I don’t believe it will be one of the larger Zelda games. I always viewed the handheld games as some of the smaller games of the series, and that’s generally how it’s been. People seem to notice games like the Oracle games, Link’s Awakening, Spirit Tracks, etc. less than they do some of the other games, like A Link to the Past, The Wind Waker, Twilight Princess, and other games. It’s my opinion that if they do release a Zelda game for the 3DS then it will be viewed kind of like them, but it could always end up differently. So, what do you guys think about the future of the Zelda series on the new 3DS? It has some great capabilities, a lot more than other Nintendo consoles, to hold a large Zelda game. Go ahead and register on our forums to browse this topic and many other unique ones.